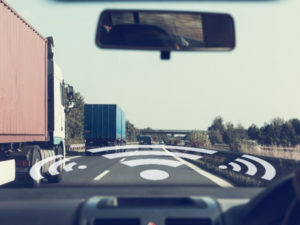 Developed for LCVs as well as heavier trucks and said to offer attractive pricing, recording can be provided from up to four high-definition video streams simultaneously via a secure Digital Video Recorder installed inside the vehicle. This is linked to a Microlise telematics unit. Video clips are transferred over the mobile network when requested and just one SIM is required, meaning a single airtime contract for tracking, telematics and the camera solution. Video clips can be rapidly downloaded in low resolution first to save time, enabling operators to quickly identify which section of a route is needed in high definition. The solution also provides notifications to alert users when a download is complete and health checking functionality to monitor the operational status of all camera units in the fleet. “We’ve worked very hard to deliver the specifications we want, both in relation to the camera hardware and software. We’re very happy with the result which we believe will prove to be a very attractive proposition for fleets operating both light and heavy vehicles commercially,” added Hague.